Home / Triumph Engine Parts / Oil Pumps & Parts / Triumph Oil pressure release valve, pre unit. 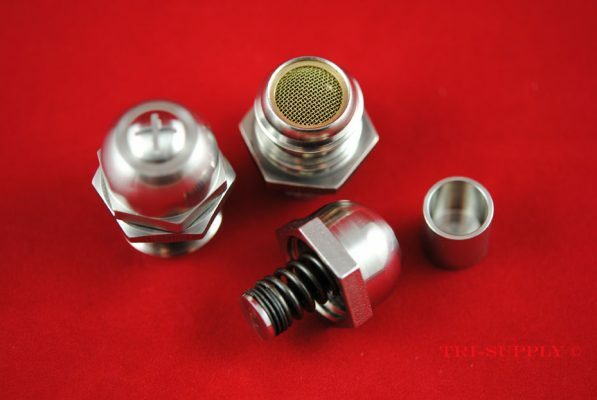 70-2795 Crafted from AIRCRAFT GRADE stainless steel 316L. 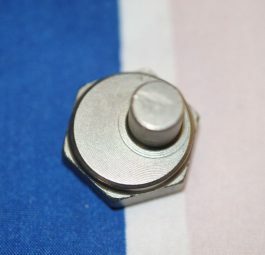 Triumph Oil pressure release valve, pre unit. 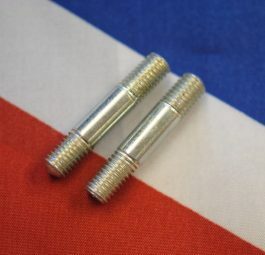 70-2795 Crafted from AIRCRAFT GRADE stainless steel 316L. 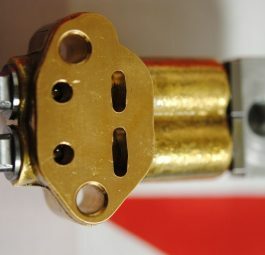 Triumph Oil Pressure Release Valve. 70-2795 Crafted from AIRCRAFT GRADE stainless steel 316L. Tri-Supply made in England. The best. ADVICE If you have any questions about the website or have difficulty finding parts. Please ring or email Oliver Barnes with your questions. The terms “B RANGE” and “C RANGE” refer to:- “B” – 500cc. Pre-unit models (last made 1959) and all 650cc, pre-unit and unit machines; “C” – 350cc and 500cc unit machines, commenced 1957 and were available until the mid 70’s in 500cc form; most parts after ’68 fit these later machines. We would be most grateful if you would please quote our catalogue numbers on all orders. Open for personal callers at the shop, Monday – Friday 9am – 5pm. We do not deal at auto jumbles, shows or on auction sites. 1885 – 1941The origins of the Triumph Motorcycle dates back to 1885, when Siegfried Bettmann started an import/export business marketing pedal bicycles using his own brand name. He had moved to London from Germany and then only a year later changed the name to Triumph when he moved to Coventry and rented a small factory. The reasoning was that Coventry was the centre of the cycle industry so he was close to suppliers and skilled labour. 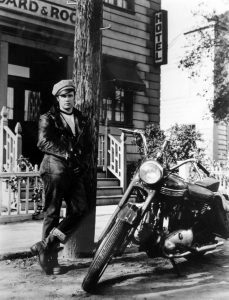 The now bankrupt motorcycle manufacturing business was then purchased by Jack Sangster, the owner of Ariel Motors in Birmingham. It didn’t take very long for the newly formed Triumph Engineering Company Ltd to start producing motorcycles, mainly because Mr Sangster had sent Edward Turner to Coventry to be his general manager and chief designer. The appointment was to prove an exceptional decision, as it wasn’t long before the youthful Edward Turner had designed a vertical twin that would change the course of motorcycle design for the next three decades. The Turner vertical twin concept was copied by most of the British manufacturers and very good they were too. 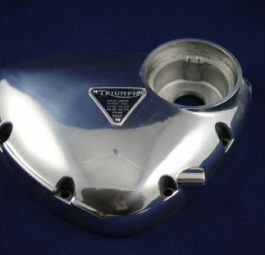 Triumph stayed pre-eminent. Just like The Beatles, when the first Triumph twins arrived in the USA, just before the Second World War, they were an outstanding success. 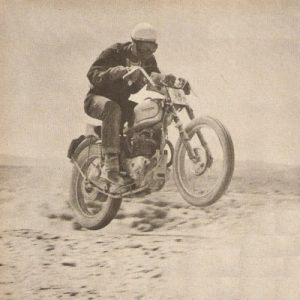 Taking on and beating the Harleys and Indians, winning races on the speedway track and also the hill climbs.All seemed to be going extremely well with a great future ahead for Triumph, then wallop, Mr Hitler was to change everything. 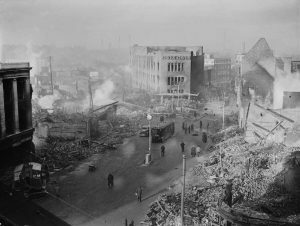 On a rather cold November night in 1940 the factory in Coventry was completely destroyed in one of the worst bombing raids the city had experienced. The remains were sifted through and anything that could be used was transported to the nearby town of Warwick. Spare parts were soon being produced in a tin shed that served as a factory and by the middle of 1941 complete motorcycles were again being manufactured for our armed forces. A year later a completely new factory was built near Meriden. The new premises only made war department motorcycles, 3SW, 5SW, 350 and 500cc side valves and 3HW 350cc overhead valves. When the war finished Triumph began producing the Turner designed 3T, 5T,6T, TR5, TRW, T100 and the Grand Prix models ready for the post war boom. When the war finished Triumph began producing the Turner designed 3T, 5T,6T, TR5, TRW, T100 and the Grand Prix models ready for the post war boom.